Yesterday I watched as my 5 year old daughter taught me a valuable life lesson. Anyone who knows my daughter knows that she is a ‘glass half empty’ kind of kid. It seems that no matter what life throws at her, bad or good, she seems to find a way to see the negative side. If I could wish anything for this kid, it would be that she learns how to be HAPPY! Maybe it’s because she’s the middle child, or maybe I didn’t give her enough attention as a baby, but it’s a struggle! On the other hand, when she DOES give you a smile, it will light up your ENTIRE day! Today was a happy day. I watched as she took an empty diaper box, a gallon of pink lemonade, and some small cups out to the end of the driveway. I didn’t have the heart to tell her that because we lived in a cul-de-sac, no one would see her little lemonade stand. She had made the lemonade all by herself (grass floaties and all!) and was determined. I’m proud of her for taking a hot boring day and turning it into a fun time to share and have fun with her friends. She was a great example to me of how I should be too. 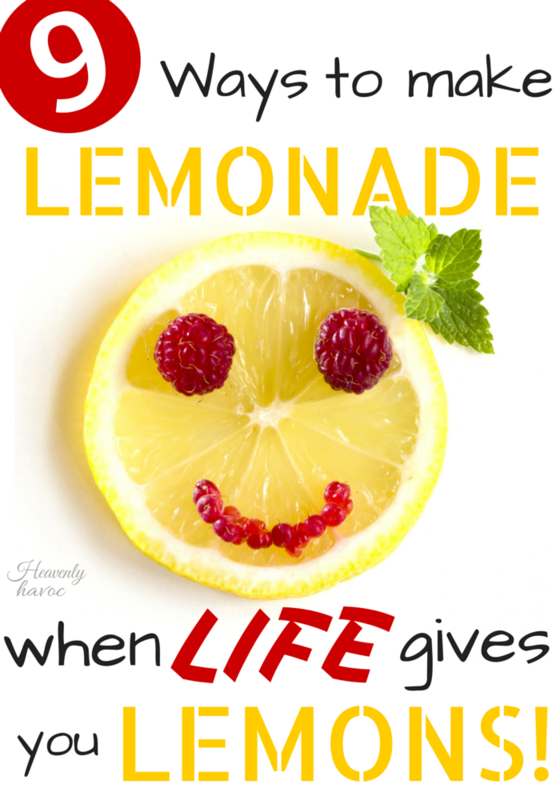 When life gives us a dose of sour lemons, we can choose to complain, give up, or…make lemonade! In this case, her happy lemonade spread throughout the neighborhood and made a lot of kids happy on a hot summer day. What YOU choose to do when life turns sour? Will you find a way to make lemonade and share it with the world? I know, I want to after today! I’ve come up with 9 ways to turn my life from sour to sweet! 1. Think of all the things you have to be grateful for! There is always SOMETHING! 2. Call someone who is having a rough time. After hanging up, your trials may not seem so big after all! 3. Think of a happy memory….then go and recreate it with someone you love! 4. Remember who you are. You are a child of GOD who loves you, and therefore you have the ability to change lives for good! 5. Spend 2 quality hours with a child. Take the time to talk, look them in the eyes, and laugh. Life can’t help but seem better. In the eyes of a child, life is beautiful. We need to follow their lead more in life! 6. Remember life is short! If you’re caught up in worrying about things that don’t last, try putting more of your time into things that are eternal and matter most. Spend more time with your family or a great friend and build lasting relationships. 7. Surround yourself with people who are happy in life. It’s bound to rub off! 8. SERVE! The best way to be happy, I have found, is to serve those around us. How can you be miserable when you are lifting those around you? 9. 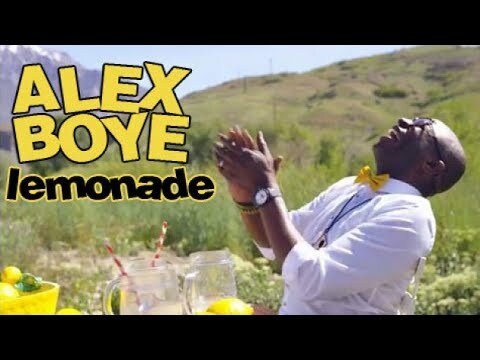 Watch the following music video by Alex Boye. It’s like happy juice! My neighbor would put this song on when she drove the carpool every morning. Then she would say, “Make lemonade!” as the kids got out of the car. She’s one of my happy people!